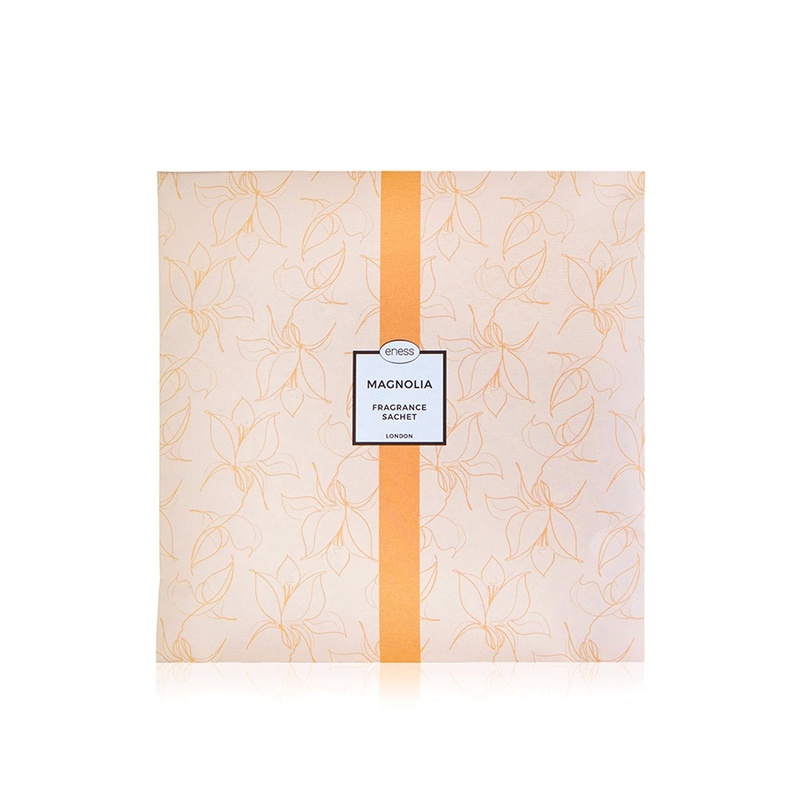 This scented fragrance sachet can gently fragrance your room, drawers, or laundry cupboards. This delightful floral fragrance opens with the fizzy and vibrant notes of magnolia blossom. The aroma incorporates creamy fruity and floral notes of peach, magnolia, jasmine and ylang ylang, with a soft musk and sweet vanilla at the base. Bring a sense of joy and wonder into your space with this fragrant reminder of beauty in the most unlikely places. Place in a bathroom, vacuum cleaner bag, rubbish bin, cupboard, drawer, under the seat of a car, or in a gift basket. WARNING: Always keep the envelope sealed. Not for consumption. Keep product our of reach of children. Avoid contact of package and contents with furniture and fabrics, specialty carpets, finished surfaces, plastics, acrylics and painted items as may cause damage and/or discolouration.